The BOYA BY-MM1 is a cardioid microphone specially designed to improve the sound quality of videos on the basis of build-in microphones. (phone holder is not included.). Professional cardioid microphone with high quality electret condenser, highly sensitive to sound from the front. MPN Does not apply Brand Unbranded UPC 190268062176 EAN 190268062176 ISBN 190268062176. This microphone is an omni-directional lavalier microphone, which designed for smartphones, DSLR, camcorder and recorder, etc. Clip-on lavalier design, very comfortable and considerate. Provided with a wind muff in case of plosive. Just switch the mode you want on the CVM-V30 LITE microphone body. Rugged alloy microphone housing features effective EMI resistance. Transducer principle: Back electret condenser. 1 Condenser microphone. 1 Set of microphone components. Low power indicator. Frequency response: 50-16KHz. Perfect hands free for: YouTube videos, music creation, conferences, Podcasts, presentations, or adventuring. The set contains: BLM-10 Microphone. Compact case. Windscreen mic cover. Working perfectly, the only thing that is no longer on the mic is the Rode logo band which peeled away from the recessed channel beside where the mic cable pushes in (compare with photo on box lid). This obviously does not effect the performance of the mic in any way. 1x Lapel Microphone Windscreen. Our Standard-Size fits most smaller type lavalier, lapel or pin-on microphones. Made from acoustically transparent synthetic fur. An elastic opening provides a slip-free fit to accommodate virtually any lavalier microphone. Official Micromuff Skinny, microphone windshield. As used by Zoella on her Canon G7X and hundreds of other vloggers around the planet! I am the official manufacturer of Micromuff, so you are buying direct from the official supplier. Set of Sennheiser G3 radio microphones with receiver, transmitter, lav mic, hot shoe mount and original box. Set of Sennheiser G3 radio microphones with receiver, transmitter, lav mic, hot shoe mount and original box. Used but in good working condition. The BOYA BY-MM1 is a cardioid microphone specially designed to improve the sound quality of videos on the basis of build-in microphones. Professional cardioid microphone with high quality electret condenser, highly sensitive to sound from the front. 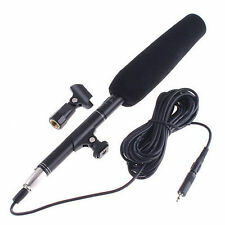 Takstar SGC-598 Recording MIC Microphone for Nikon Canon Camera Camcorder. Condition is New. Dispatched with Royal Mail 1st Class. Omni directional condenser miniphone. 1 Lavalier Condenser miniphone. 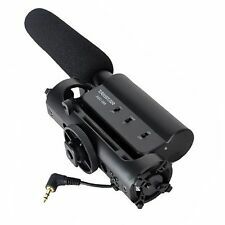 Clip-On Mic for Smartphones, DSLR, Camcorders, Audio recorders, PC etc. High-quality condenser is for video use. Super sound for presentations and video audio recorders. Compatible with GoPro Hero 3 3 4. Length: approx 20cm/ 7.9"(Adapter Cable); approx 150cm/59"(Clip Microphone). Erisin Co. If you want to make call or receive call more clearly through Bluetooth (car dvd), this mini external microphone is your best choice, easy to install, just plug and play can improve your calling quality. Accessory type Microphone. Baby & Mother. ● Type-C USB connection. NEW ARRIVAL. OnePlus 5T 6.01" Snapdragon 835 Octa-Core 6 64GB Face ID Oxygen OS 4G Smartphone. Product weight 0.0200 kg. Local pick up is not available. 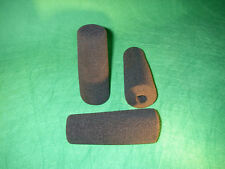 Official Micromuff Skinny, microphone windshield X 2. I am the official manufacturer of Micromuff, so you are buying direct from the official supplier. Finding the Micromuff products has literally changed my life! NTG-1, NTG-2, NTG-3, VideoMic, TAKSTAR SGC-598,Nonsha NA-Q7,MIC-01 MIC108 MIC-121 Stereo,NW-598,SHENGGU SG209 & Similar Long Shotgun Mics. This furry microphones cover can minimize wind noise when recording in high wind conditions. 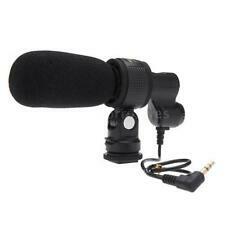 The Clip-On Mic for Smartphones, DSLR, Camcorders, Audio recorders, PC etc. For DSLR, Camcorders, Audio recorders, PC. Suitable: for Canon, for Nikon. Superb sound for presentations and video recording. BY-MM1 Universal Cardiod Shotgun Microphone. The BY-MM1 is a cardioid microphone, which specially design to improve the sound quality of videos on the basis of build-in microphones. 1 x BY-MM1 Microphone ;. 外置mini麦克风 Gopro Hero4 3/3 的转接线. Notice: The microphone is very sensitive, do not drop, knock, or strong shock.If the microphone is placed next to the speaker, it may produce whistlers if happened, is about to place the microphone is far away from the speaker, or reduce the volume of the speaker.The tape change pick up mode switch settings, can produce noise.The battery indicator on the microphone when opening the lights up and immediately went out to save battery power and prevent stray light effects shooting video. So please check the switch to confirm that the switch has been closed and the microphone is used when you do not use or stop using it.Plenty of battery, the battery indicator on the power switch when one flash, in use process, if the microphone or turn on the power switch, powe. Microphone head should not be toward speakers, in order to advoid howling. The best effects of pickup is away from the microphone head 30cm. 1x Cable: Approx. 23.4ft (7m) 0.25in (6.35mm) jack - XLR cable. 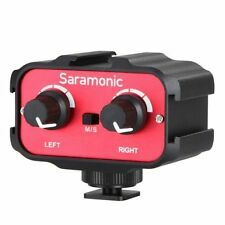 Saramonic Smart Mic for Apple iPhone iPad, iPod Touch (UK Stock) BNIB. Con dition is New. Dispatched with Royal Mail 2nd Class Large Letter. Opened to check contents but brand new, un used. Fit for Rode Videomic microphone, great accessory for recording, you're worth it. Suitable for Rode VideoMic. This wind muff is made of qualified artificial fur, soft material with good texture, durable to use, ensures a long service life. SONY ECM-XM1 sharp directivity Gun Microphone spare parts from Japan. Gun microphone of standard accessories such as HVR-Z5J and HXR-NX5J HXR-NX3. ※ It is exclusive for phantom power ( 48V). 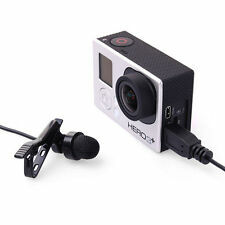 Mini Professional USB External Microphone Mic Collar Clip for GoPro Hero 3 3 4. Clip-on microphone design, convenient to use. 1 Microphone. 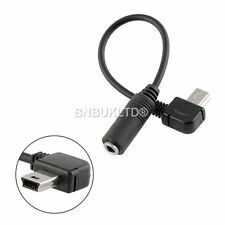 Connector: 3.5mm plug, Mini USB plug. 1 USB Adapter for GoPro. This microphone receiver kit is made of high quality material. 48 channels options, convenient for multiple devices working together without interference from other channel signals. Radio frequency: 568 ~ 592 MHZ. This kit includes two transmitter and one receiver, suitable for various uses such as interview, live show, etc. Omnidirectional mic can pick up sound from all direction. 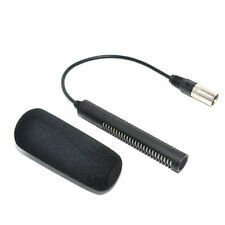 Clip-on type mic, compact and lightweight, easy to use.